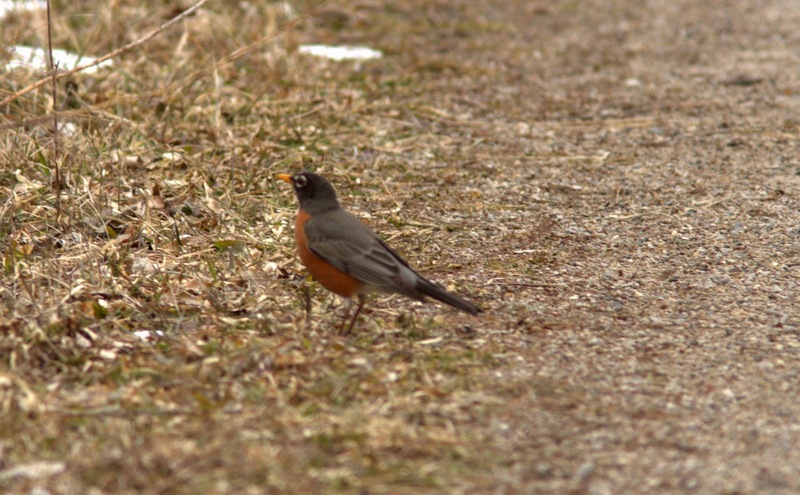 Today I headed down to Rondeau Park first thing. It seemed to be a rather quiet day for birds, but at least the weather was decent. 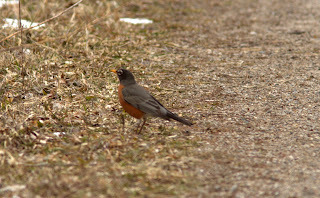 A few Fox Sparrows were around, and I assume the three on South point trail were early migrants. 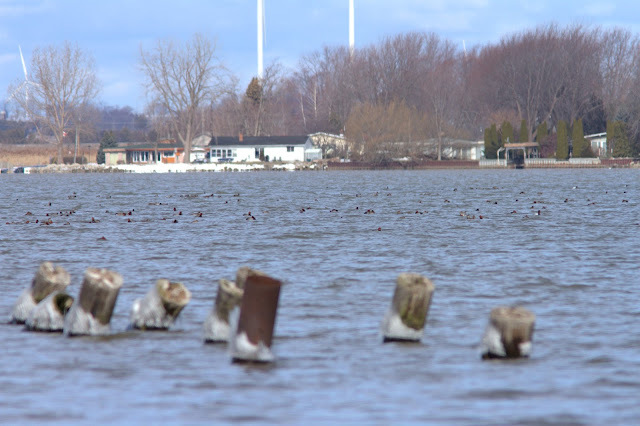 There was very little activity on the lake, but thousands of ducks were on Rondeau Bay. I did not spend much time looking at them though. The majority off the old Rondeau dock were Redhead. 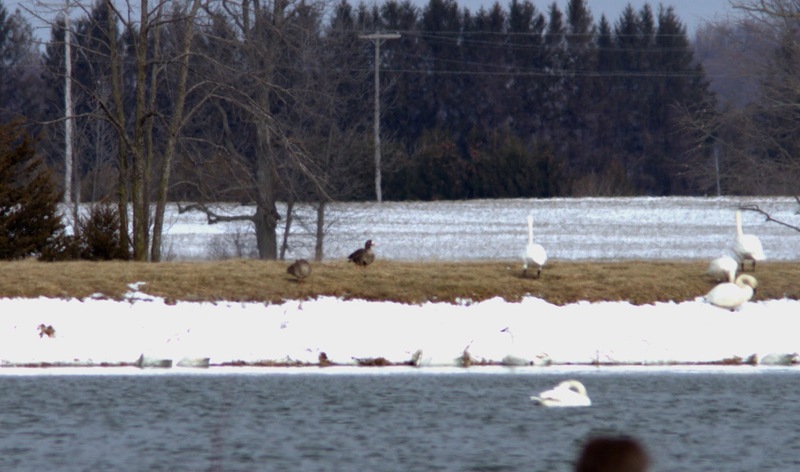 I continued on to Ridgetown where we always find lots of waterfowl. 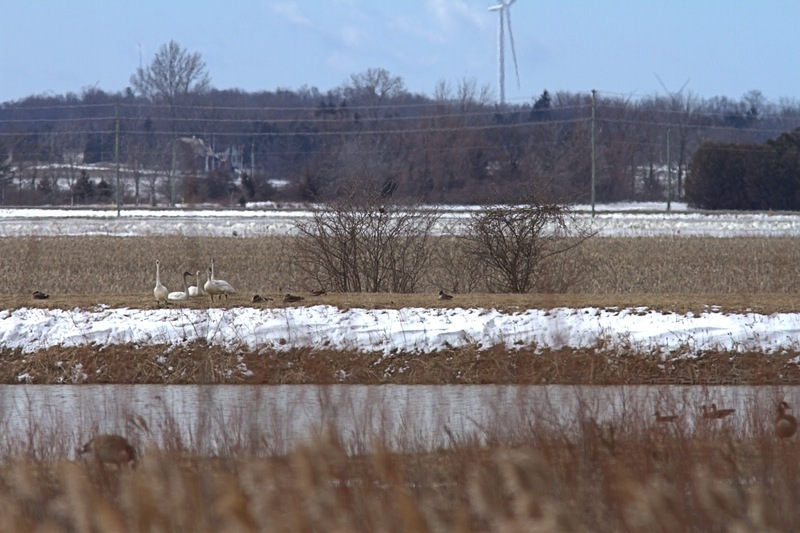 I was hoping for Greater White-fronted Geese, and was not disappointed. 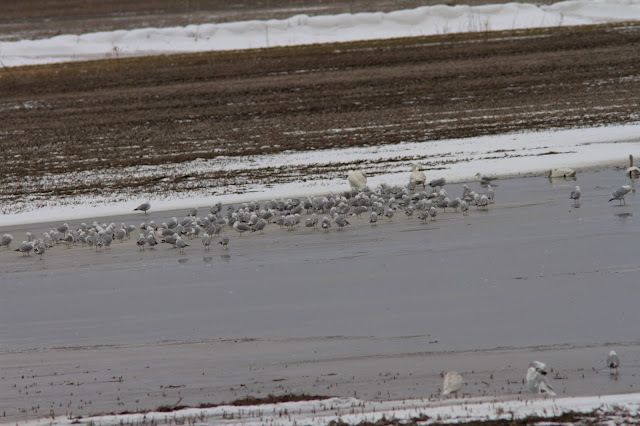 However, they were difficult to pick out from a distance, and they were quite spread out. 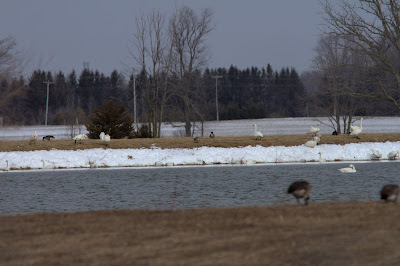 Some were at the far side of the north pond, while some were at the far side of the south pond! Lots of Tundra Swans were in of course and I tried to look for Bewick's (to no avail). 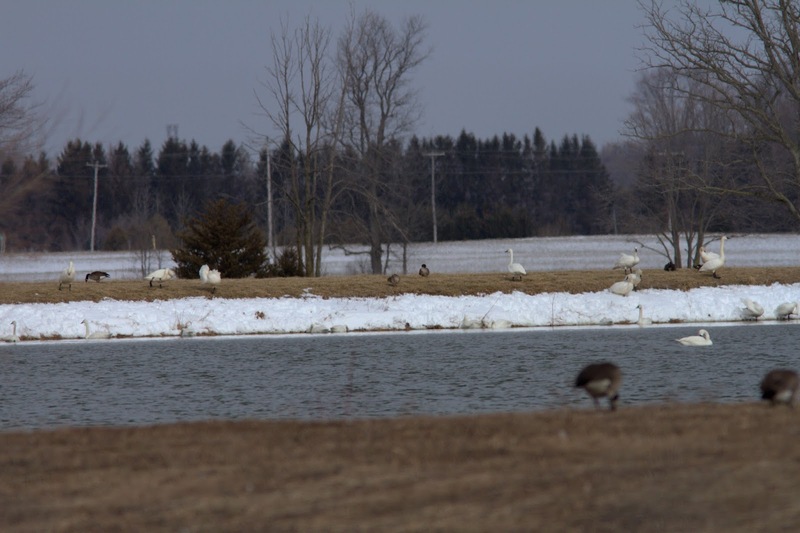 The flooded field off McGeachy Pond at Erieau was active once again. Lots of gulls, including a Lesser Black-backed and a Glaucous were there. That was it for today, except for a check of Roberta Stewart Wetland near Wallaceburg. It is quite an attractive place for waterfowl at this time. 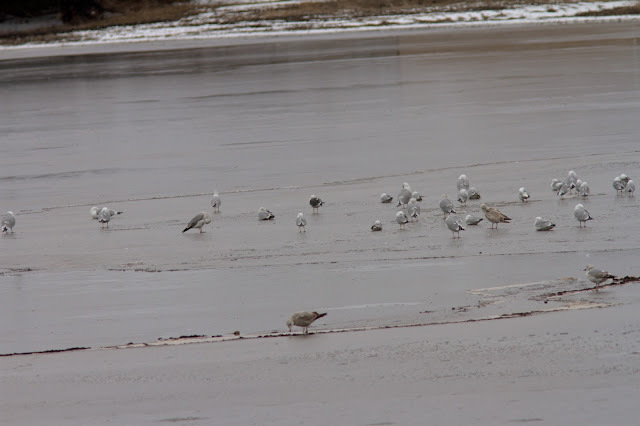 Soon be the time of year for someone to find a Rondeau White-Winged Dove again. It will be interesting to see if it shows again!